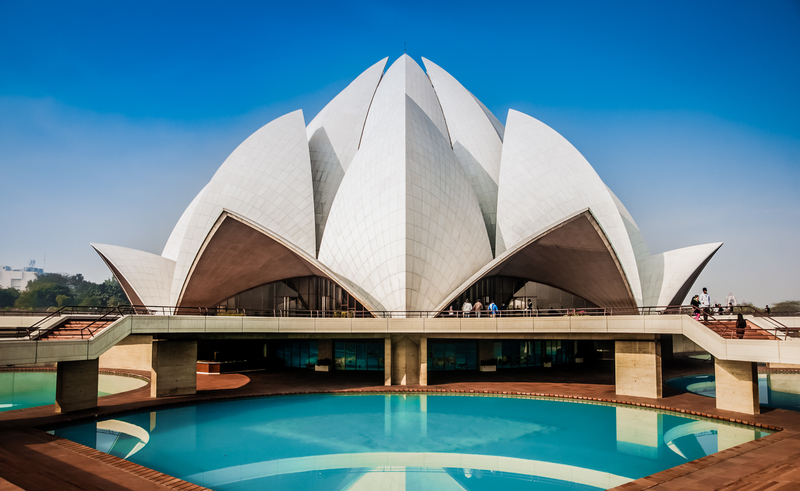 The "Lotus Temple" is a Bahá'í House of Worship designed by Canadian-Iranian architect Fariborz Sahba and opened in 1986. It serves as the Mother Temple of the Indian subcontinent. 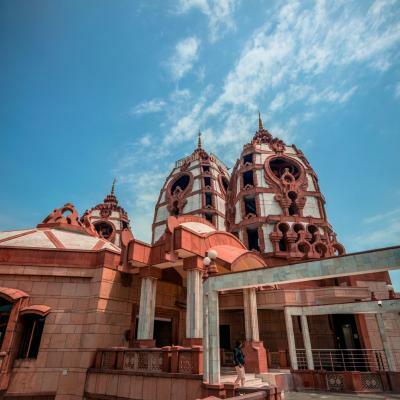 The temple derives its name from its nine sided design. 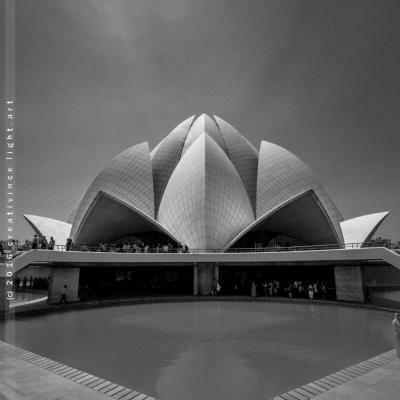 It is set on a platform above nine symetrically arranged pools giving the impression of a floating lotus flower. The concrete roof "petals" are clad with white marble. In the central prayer hall which accommodates 2,500 people, no sermons can be delivered and no ritualistic ceremonies practiced but people from all religions are welcome to worship. Taxi is the easiest way to access this site.